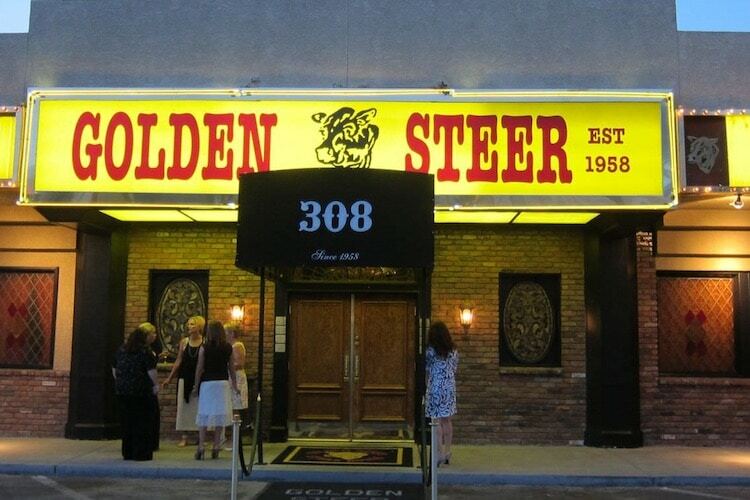 A Bob Martin favorite meeting place, Las Vegas' Golden Steer. The once shadowy world of bookmaking is now out in the open. This, attributable to the U.S. Supreme Court decision overturning PASPA, the law that made Nevada-style sports wagering illegal everywhere else. The computer, the internet and the cell phone are now the tools of what sports betting insiders regard as a specialized practice known as “making book.” At a time when bookmaking and the creation of the opening line is emerging from its somewhat hidden past, now is an appropriate time to remember the late Bob Martin, the Las Vegas longtime oddsmaker and bookmaker whose opinion on what an opening number should be mattered more than anyone else’s. In the 1960s, 70s and into the 80s, Martin created the Las Vegas sport betting lines. Then, every major bookmaker had a representative in Las Vegas to get Martin’s line. His opinion was the gold standard and without it, no bookie could operate. “Bob operated in a world long before any computers took over. It was all in his head,” long-time friend and confidante “Pittsburgh” Jack Franzi told Sport Handle. Martin, who died in 2001 at age 82, is still generally regarded as the best in the business from those days because of his ability to quickly process information and his personal integrity, Franzi said. In a bookmaking world seemingly light years away from today’s — a world Martin and his cohorts probably never imagined, Martin and dozens of gamblers congregated in the Churchill Downs Sports Book on The Strip — where the Paris Las Vegas Resort now stands — each Monday morning during football season. That’s where Martin initially served as oddsmaker before moving downtown to work with Johnny Quinn at the Union Plaza. Those local bettors, often with betting associates all over the country, knew that Martin could be trusted to put out a football line that would attract action on both sides, the key principle in successfully making book. Those that knew Martin well in that era, including Franzi and semi-retired Las Vegas sportsbook director Richard Saber, never minimized two of Martin’s attributes — honesty and integrity — this in a world where sports betting outside of Nevada was clearly illegal, and usually controlled by those operating outside the letter of the law. “Martin’s ‘stand-up guy’ reputation meant he could be trusted,” Saber, who broke into the sport betting business at the Stardust in the 1970s when it was run by Frank “Lefty” Rosenthal, told Sports Handle. 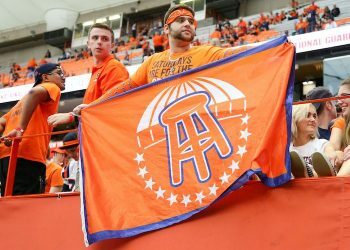 Those Monday morning gatherings on the Vegas Strip were highlighted by Martin’s posting the first line on the following weekend’s football games. He would write them in chalk on a blackboard, and betting would begin. Many of those watching would be betting themselves and soon thereafter disseminating Martin’s numbers to illegal bookmaking operations from big cities to small throughout the nation. This was big business, indeed, and it all stemmed from Martin’s opinion on each game. More than anyone else, Bob Martin’s opinion mattered. When cancer claimed Martin in 2001, his passing was extremely well noticed in the sports world and was the subject of a “Sports of the Times” column in The New York Times by Dave Anderson. “Before Super Bowl III, the late Mo Siegel, then a Washington sports columnist, phoned Martin to tell him that Vince Lombardi gave the Jets, a 17-point underdog, a chance to upset the Colts because of Joe Namath. ‘If I write that, Siegel asked, would that change the line? Saber said, “At that time, that was the first and only betting line around. Martin had a big advantage because he dealt with all the biggest bookmakers all over the country, including the biggest bookmakers in New York City. They were all looking to get down and he knew what numbers they thought could attract action from their customers. Once he talked to all of these people all over the country, he could make a true number. Franzi, now in his 90s and Saber, 71, agree that Martin’s personality was an important part of the business. Both often joined Martin for dinner at Piero’s or the Golden Steer — both still active and popular Las Vegas dining and gathering establishments. Martin would greet everyone at about 6 p.m. at the bar and have a cocktail and start telling stories. The actual dinner was served after 9 p.m.
“He was great fun to be around and had a million and one sayings, Saber said. “Another of my favorites was ‘Behind every successful gambler is a rich woman. 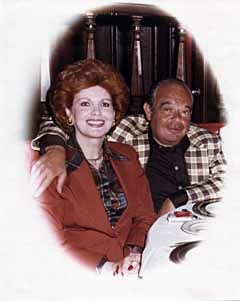 '” But Martin was not a publicity seeker in the manner of Jimmy “The Greek” Snyder, and led a quiet life as a family man in Las Vegas. Martin’s notoriety was such that People magazine ran a feature on him in 1976. Franzi and Saber remember Martin’s arrest and conviction for passing betting information across state lines. Martin was convicted in 1982 for violating interstate gambling laws, and was sentenced to 13 months in prison. “That was complete nonsense,” Franzi said. At the time, there was betting information in many newspapers. However, Martin did do less than a year in a minimum security facility for doing something that’s now on ESPN everyday. 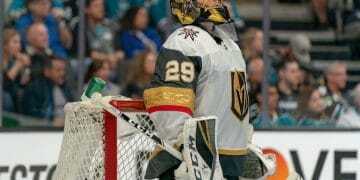 After his release, he returned to Las Vegas where gradually family health issues and the changing technology made Martin’s great skill a thing of the past. He’s gone, but certainly not forgotten.